Welcome to one of the best restaurants on the south shore of Long Island in Bellmore. 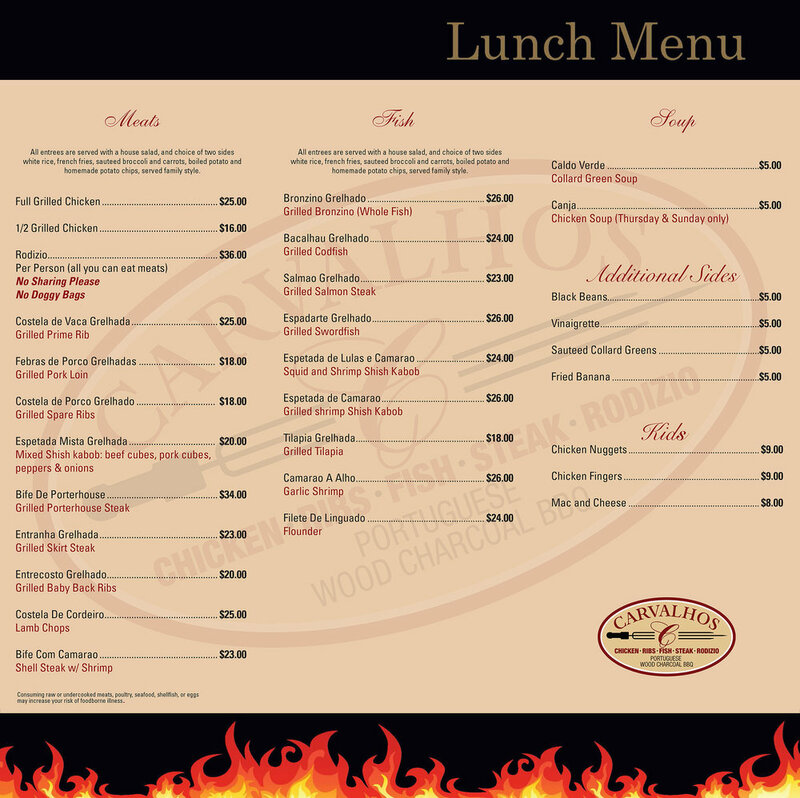 At Carvalhos Restaurant, we serve delicious, authentic Portuguese style BBQ and specialties! We cook over all-natural Portuguese wood charcoal for a unique, unforgettable taste. Our meats, seafood and poultry are all seasoned with a savory mix of herbs and spices from our secret, homemade recipe that has been perfected over many years. Whether you are dining at our charming restaurant, ordering take-out for a quiet evening at home, or catering your next special event, Carvalho’s Restaurant is sure to please. We offer only the best, highest-quality food available. Every dish is expertly prepared and served by our knowledgeable chefs and friendly waitstaff. Be sure to bring your appetite and come enjoy a taste of Portugal on the South Shore of Long Island!